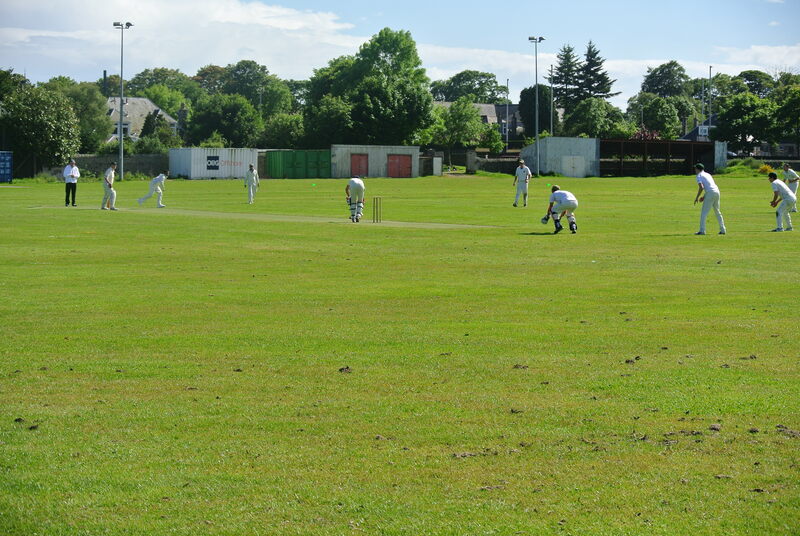 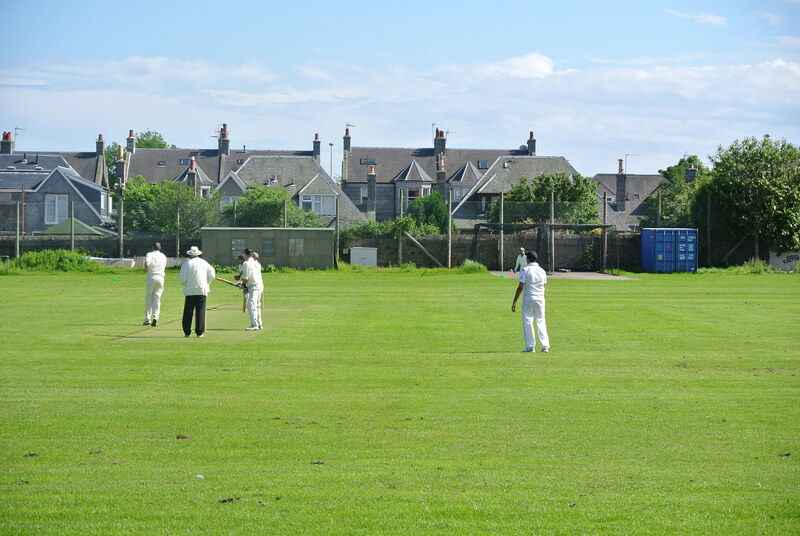 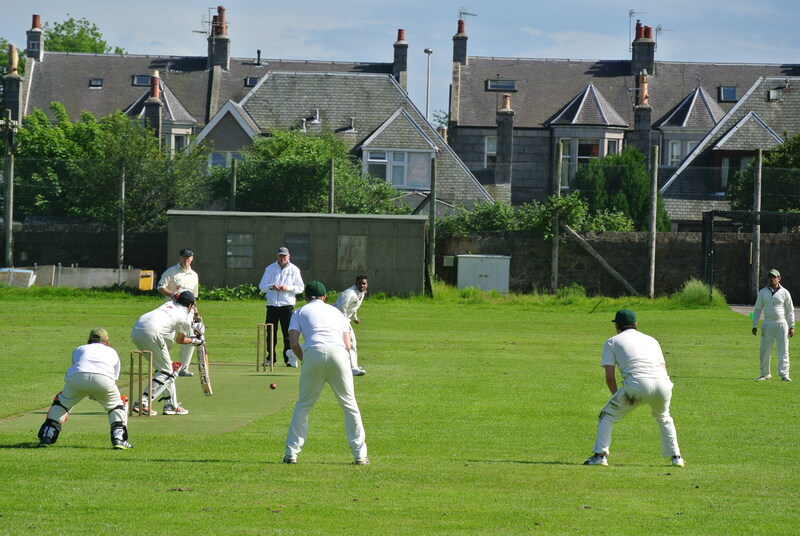 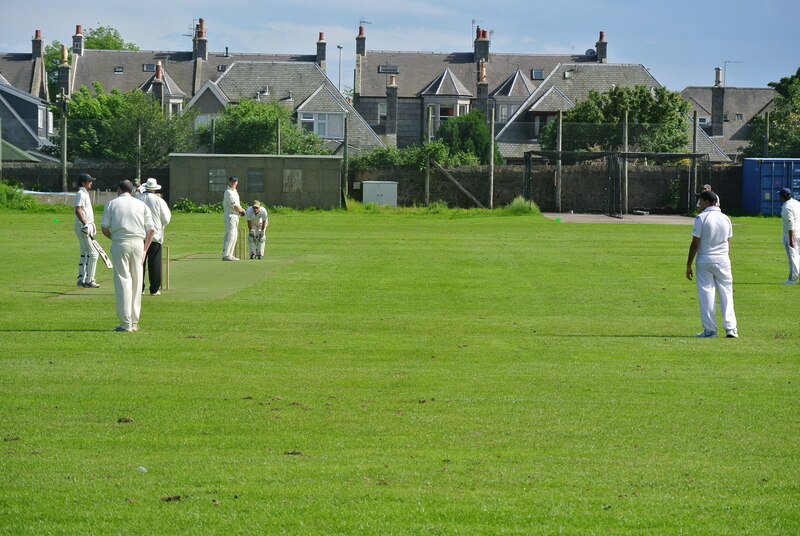 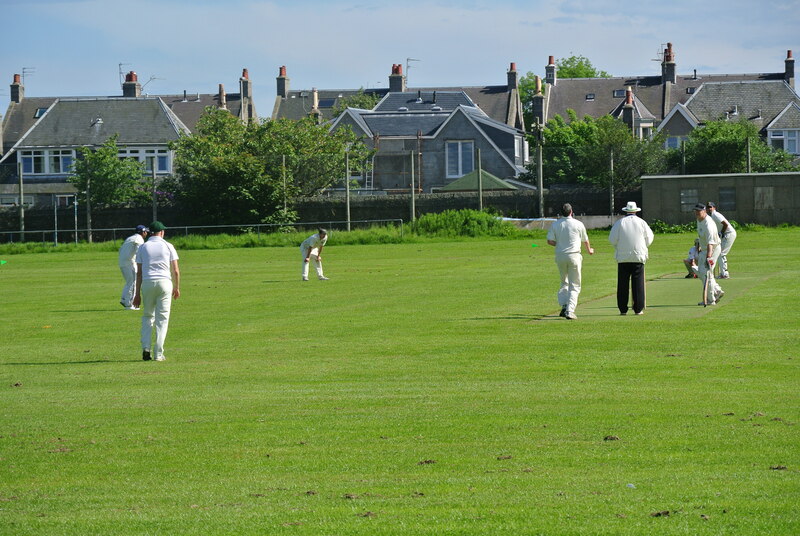 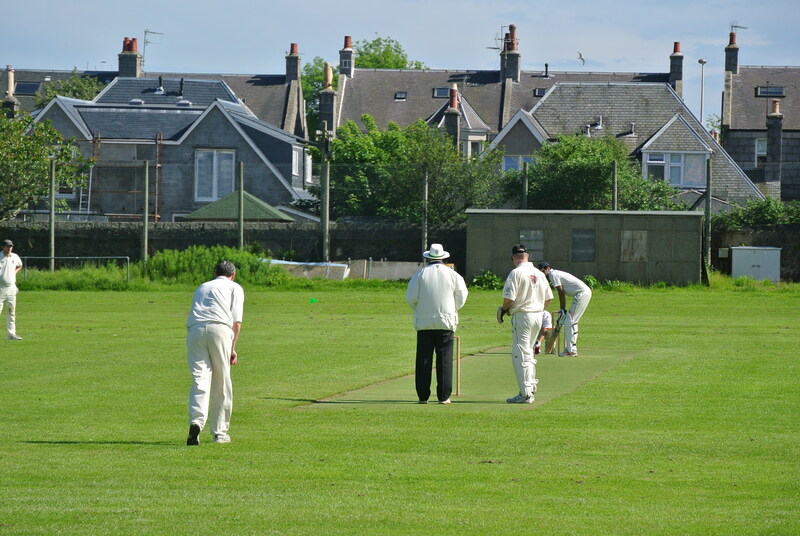 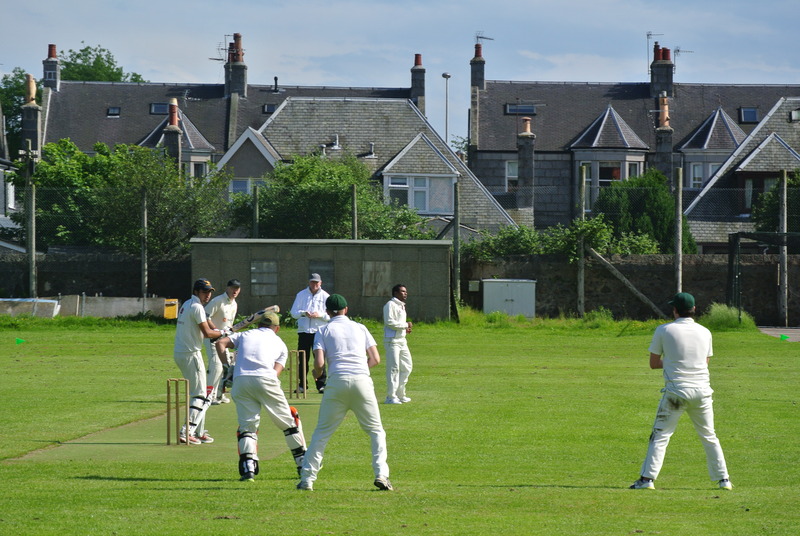 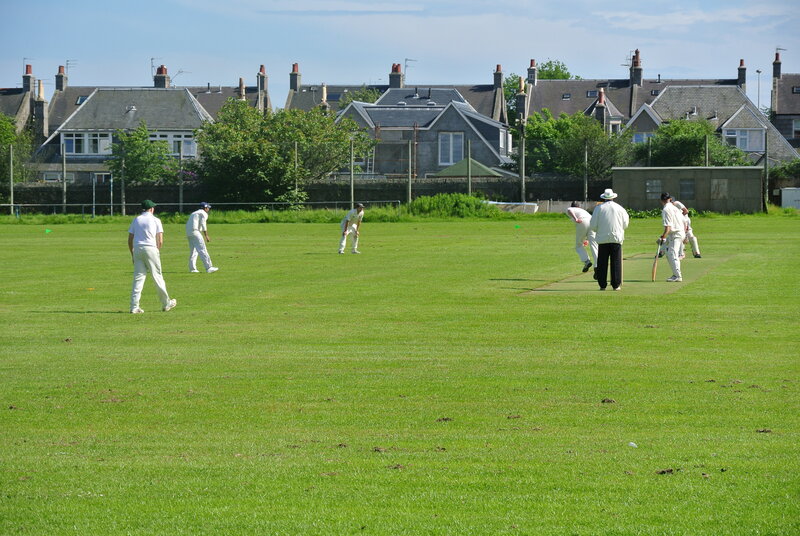 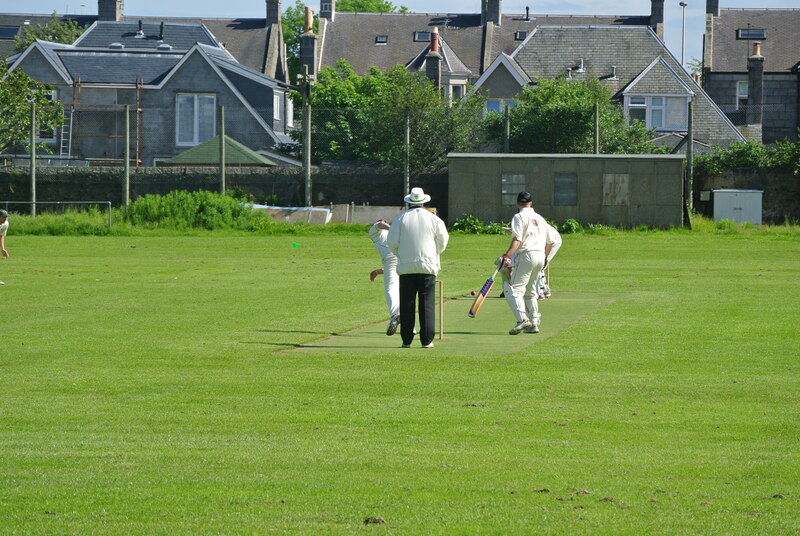 A shambolic batting display from FPs handed Tranent an easy path into the next round of the Small Clubs Cup as the home side were dismissed for just 95. 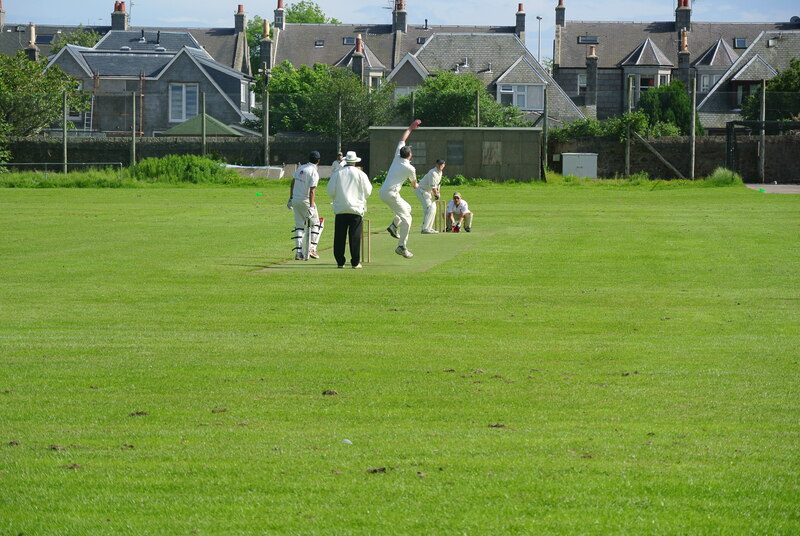 Only Tenneti with 26 and number 10 Hameed (16*) made double figures as FPs were bowled out in 27 overs. 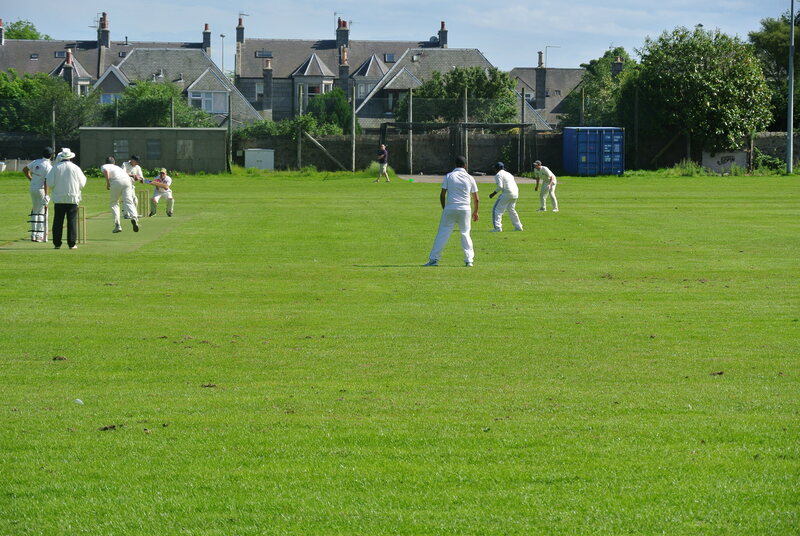 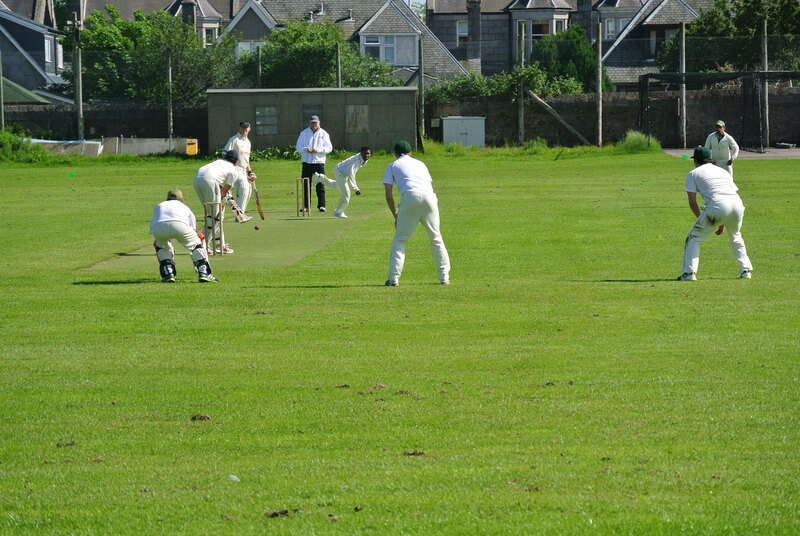 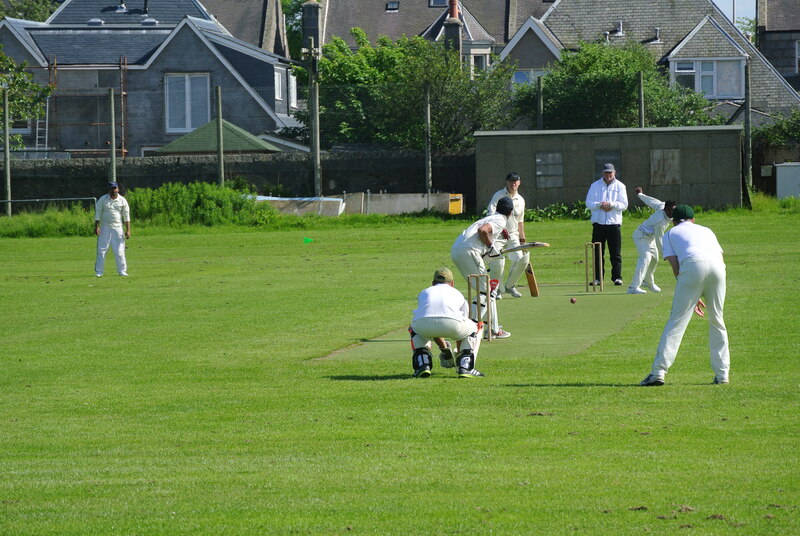 They did bowl well in response, Tranent taking until the 34th over to knock off the runs with 5 wickets still standing. 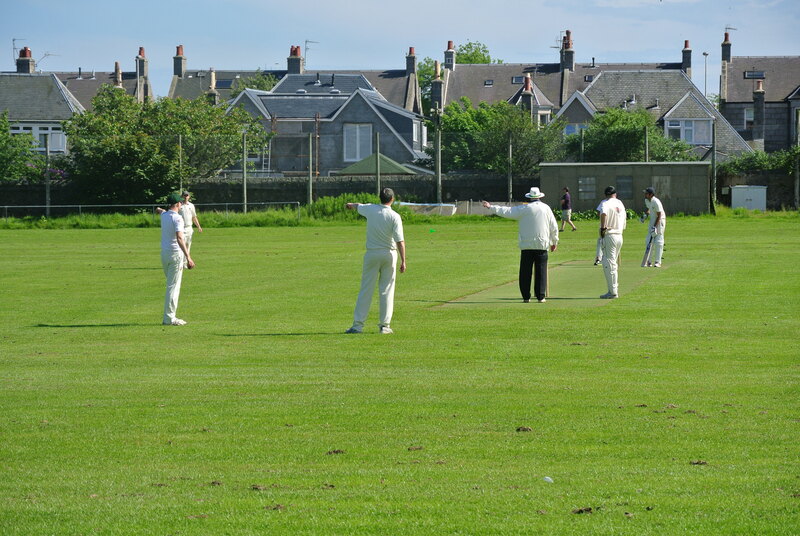 FPs made 4 changes from the side that drew with Mannofield, Booth replacing Clelland beind the stumps, Stuart replacing the cocktail partying Mapplebeck, Waldron replacing Keith and Challa in for the rested Roland Knudson who was named 12th man. 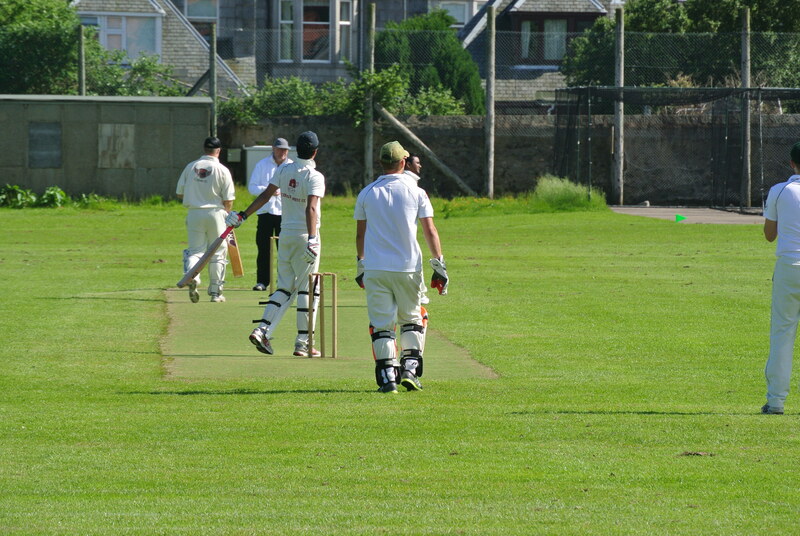 Morrison incredibly won the toss for the 1st time this season, but decided to bat anyway. 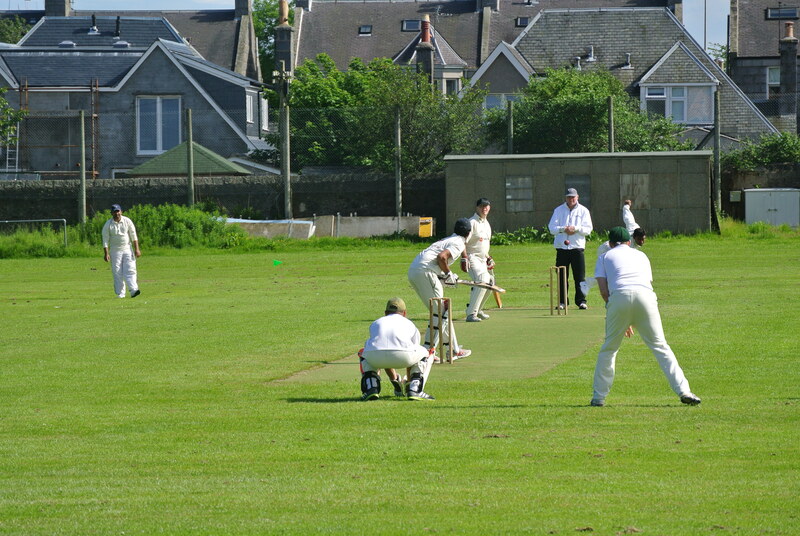 It was perhaps prove a bad decision. 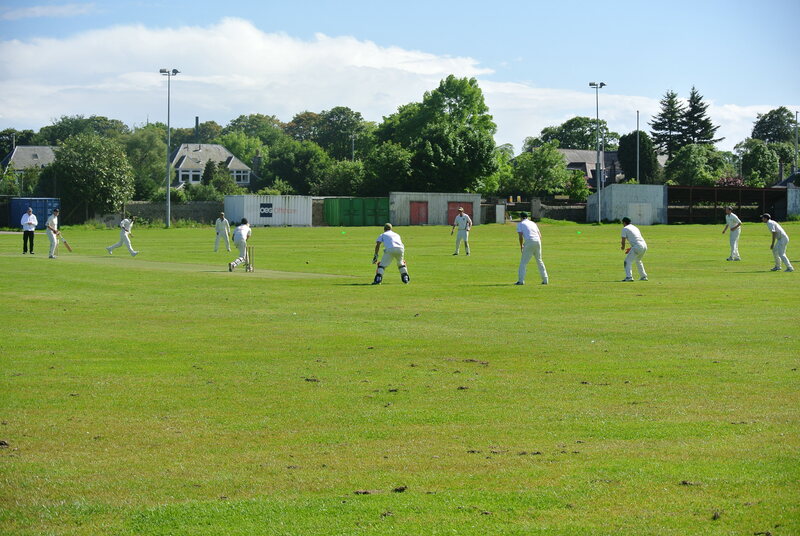 Waldron opened with Booth who was promoted in place of the skipper and it only took till the 3rd over for that plan to fail as Booth was bowled by Anderson for 5. 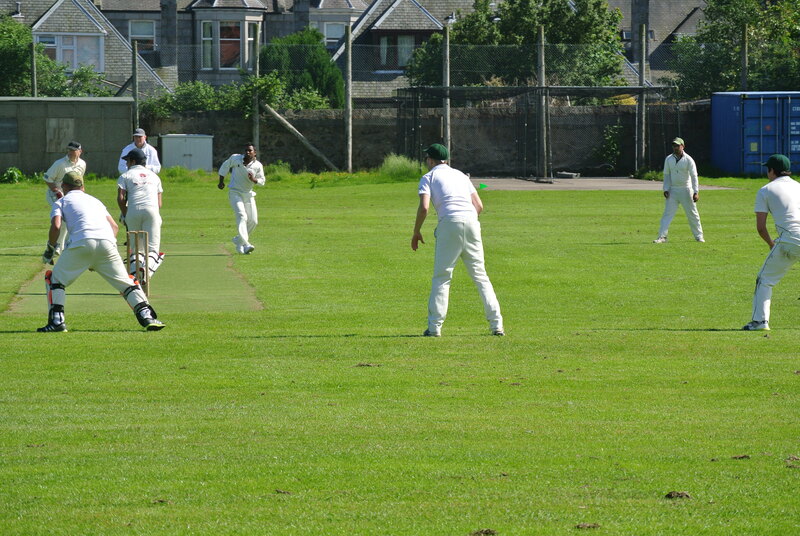 Waldron lasted 11 balls but fell for a duck easily caught at cover off Hassan. 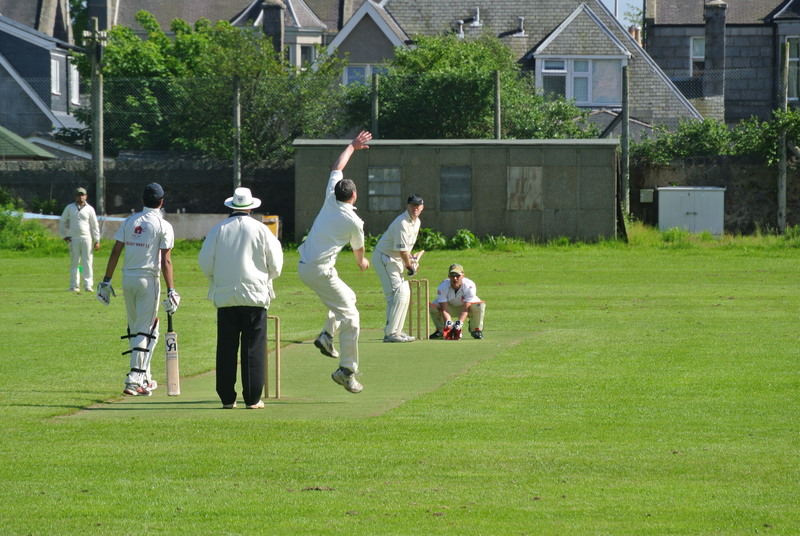 Davey looked solid but was bowled Anderson for 6 and Senthil was easily caught off Ali for 5 as FPs slumped to 38 for 4. 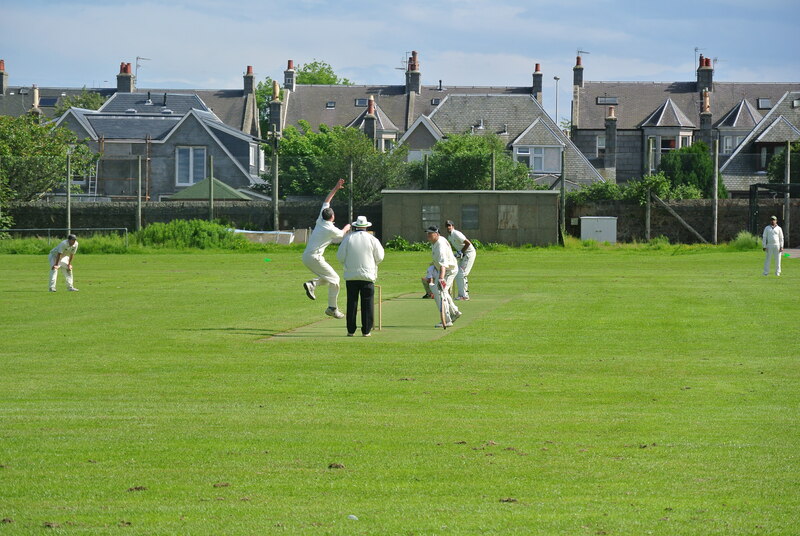 Tenneti was holding firm and he and Challa repaired some of the damage with a 30 run stand, but Challa falling for 9 to Nadeem was part of 4 wickets going down in 10 balls for 1 run, Ali’s 6th over doing plenty damage as he claimed 3 wickets. 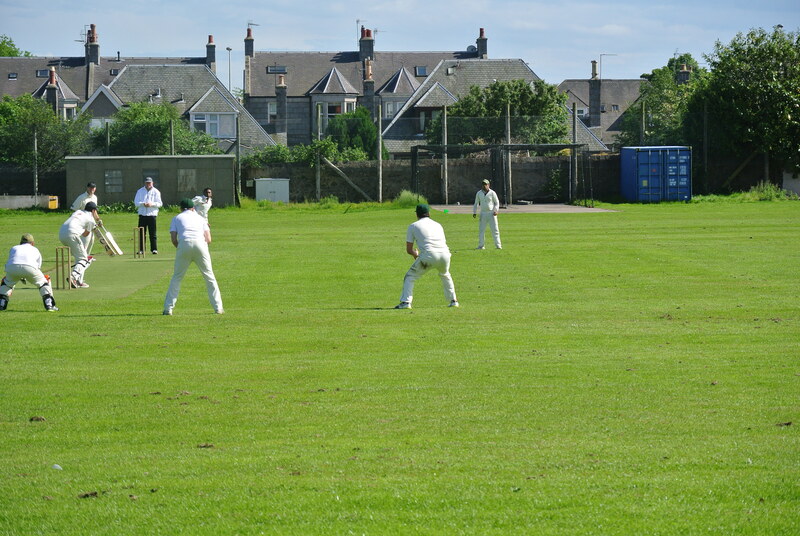 First Tenneti was bowled middle stump by a ball that may have kept low, Vijapur walked having edged his first ball to the keeper and Morrison was bowled for a 2nd ball duck. 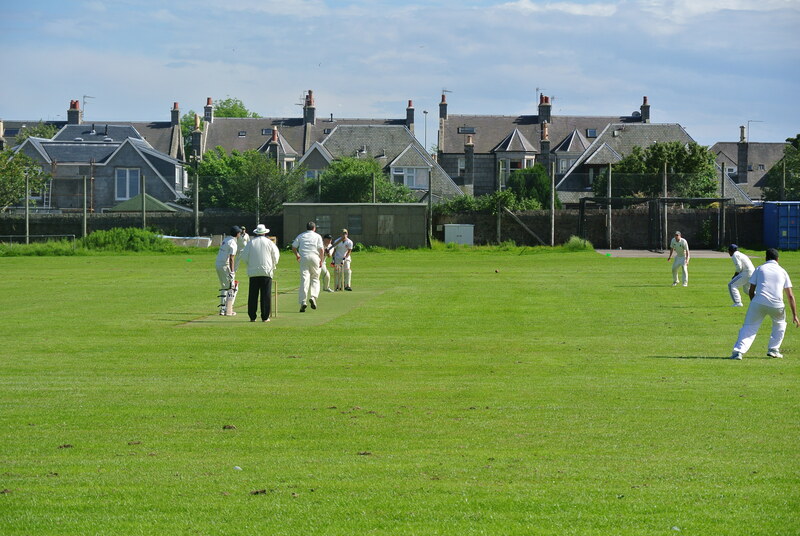 FPs now 69 for 8. 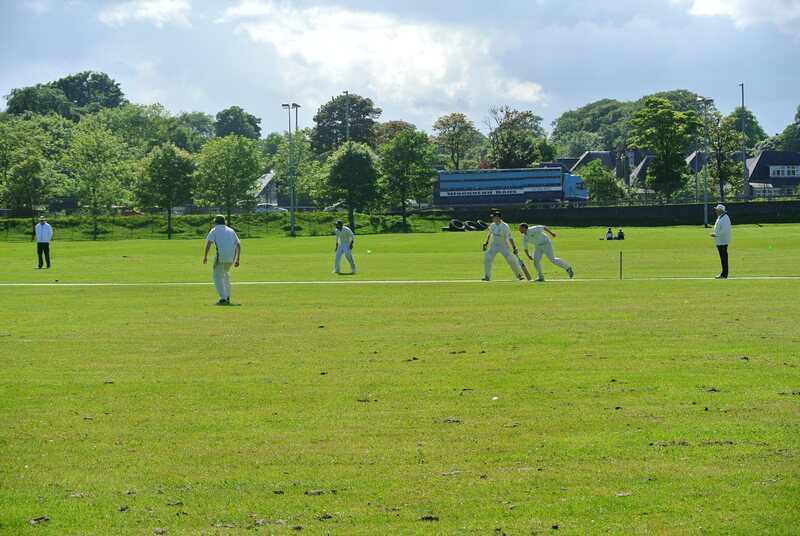 Some hitting by Hameed boosted FPs to 91, when Sam Knudson was bowled by Nadeem for 8 and Stuart was last man out for a duck caught at mid off leaving FPs 95 all out, Hameed stranded on 16 not out. 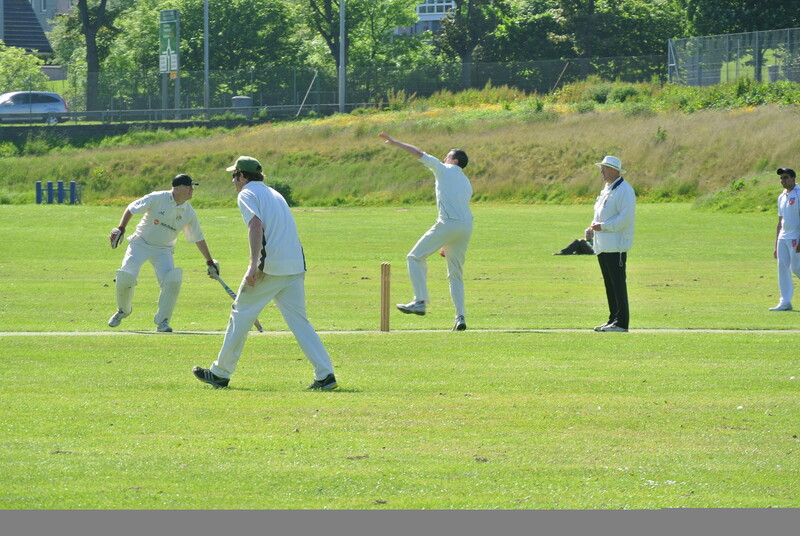 95 was a total well below par and despite some good bowling, it was not as good that FPs should have been bowled out so easily. 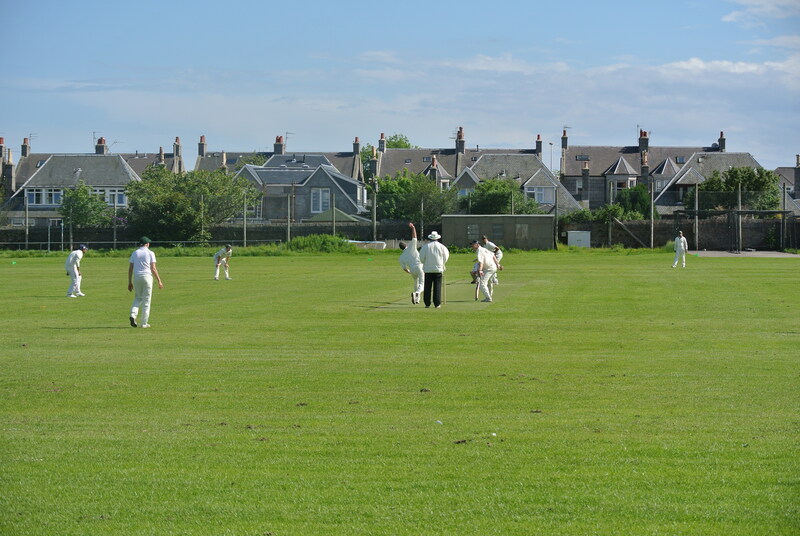 Anderson bowled well at the start to take 2 for 14 in 6 overs, Haasan claimed 1 for 26 in his 8, Ali took 4 for 26 in 8 and Nadeem’s offspin took the other 3 wickets for 18 in 6.5 overs. 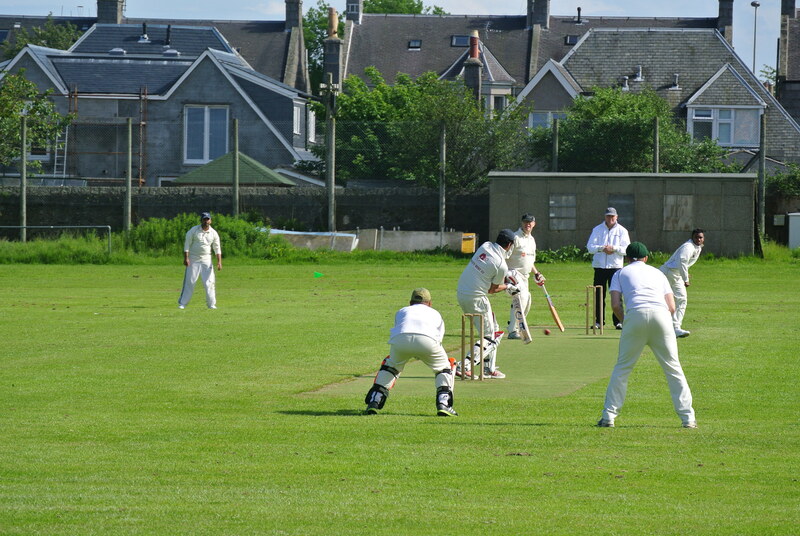 Needing early wickets, FPs opened with Vijapur and Hameed and after 5 tight overs, Vijapur’s 3rd over brought the breakthrough Hoenigmann well caught by Stuart at mid wicket for a duck. 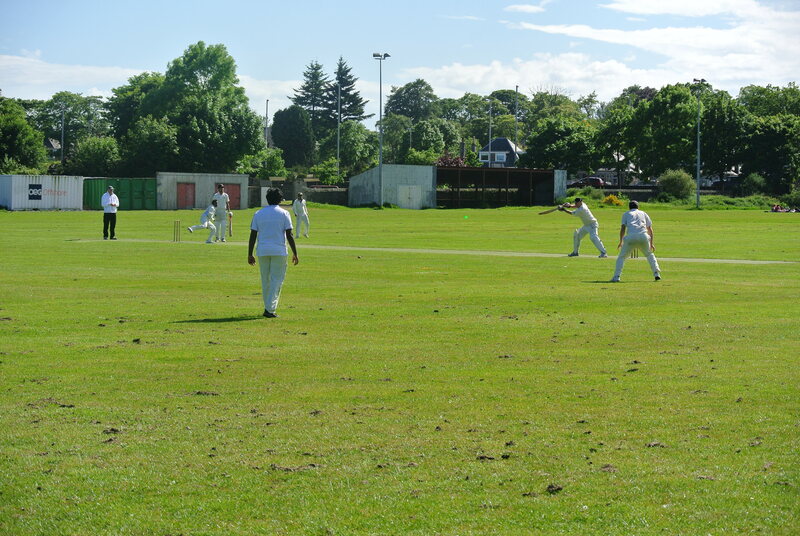 Faheem looked to be aggresive and made 14 quickly, before Challa’s 1st over produced a wicket, Tenneti claiming a very good catch in the calmest of manners, backpeddling at mid on. 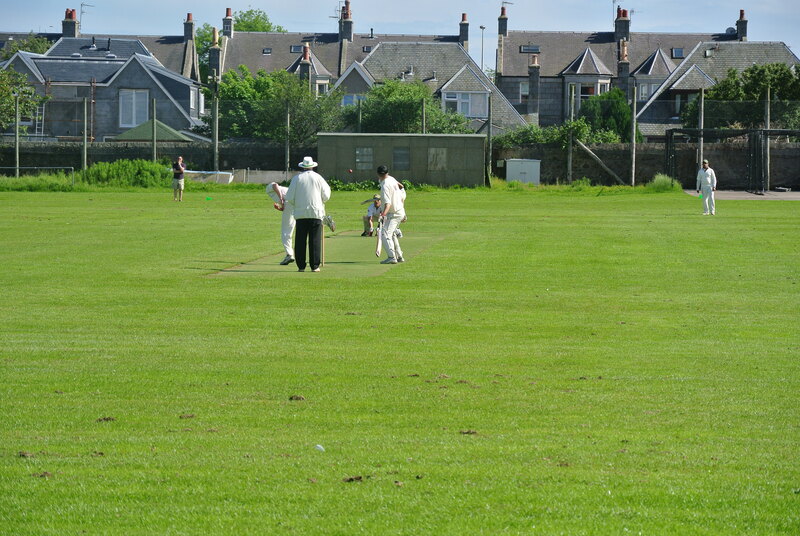 Tranent 34 for 2. 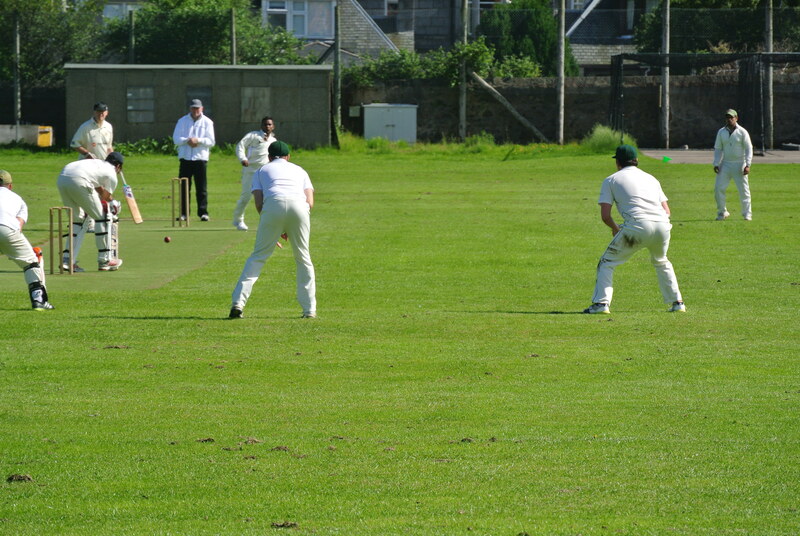 Morrison rang the bowling changes with Stuart and Knudson trying their luck and Hameed switching ends. 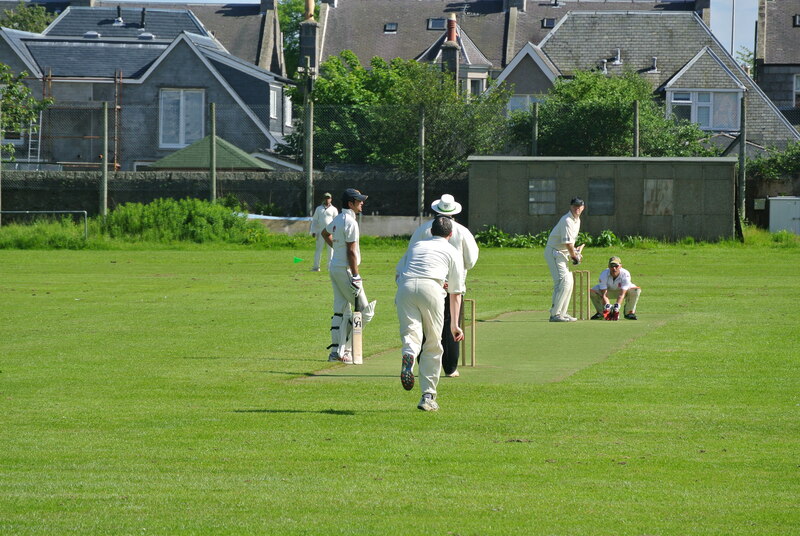 Despite some close calls, FPs could not get the breakthrough, although Sam Knudson bowl with supreme accuracy conceeding just 4 in his 7 overs. 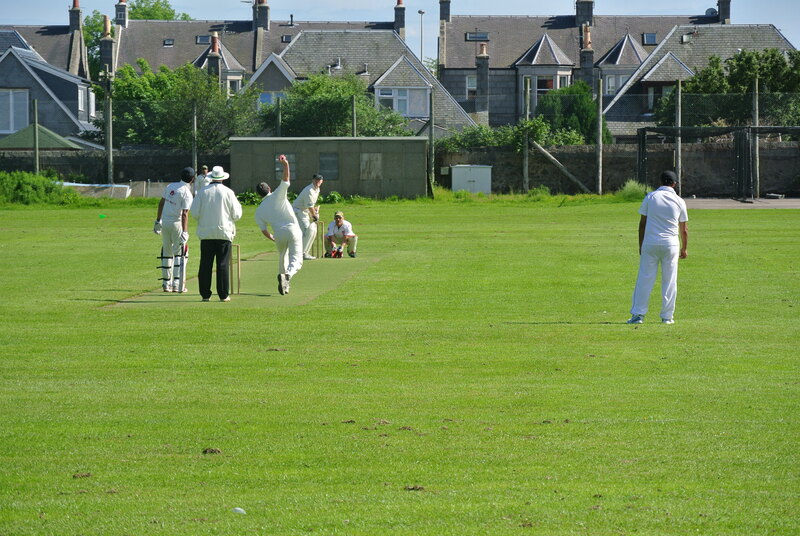 FPs did sense a chance when Knudson held one back to easily claim Craigmile for a watchful 23 caught and bowled. 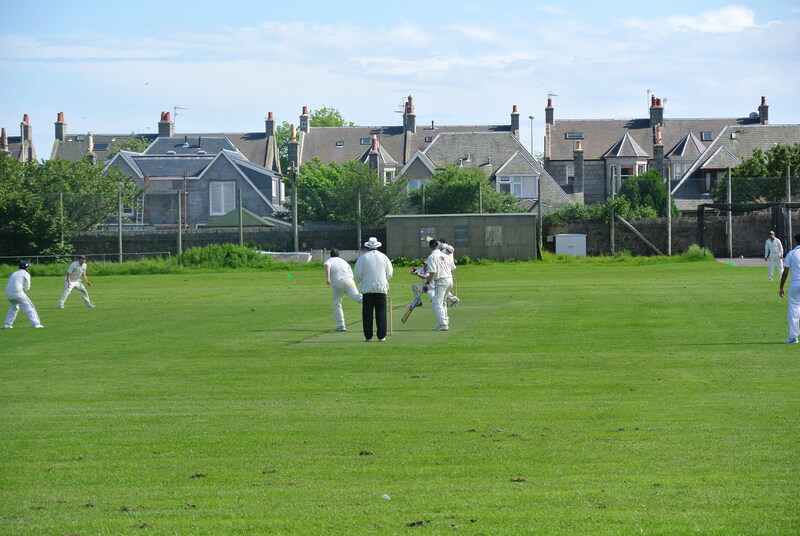 Next over Vijapur had Ali caught for one at the wicket by Booth and Anderson was quickly dispatched plumb LBW for a duck. 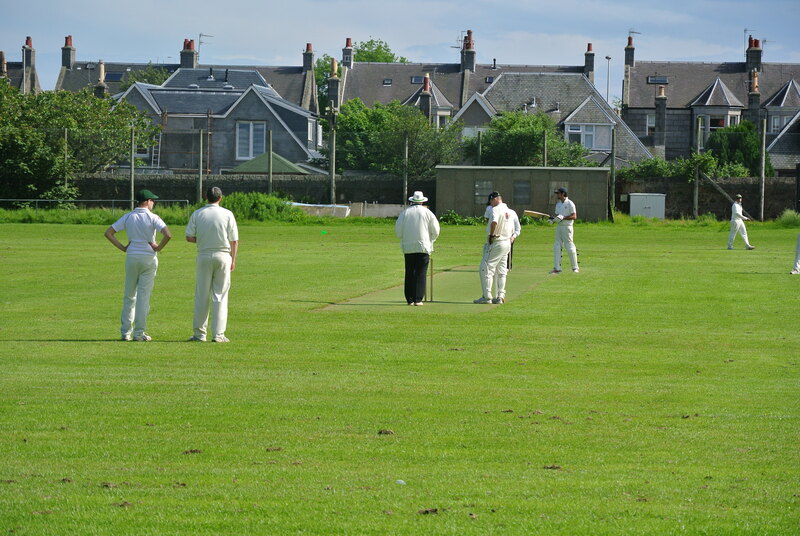 Tranent 78 for 5 with 18 still needed. 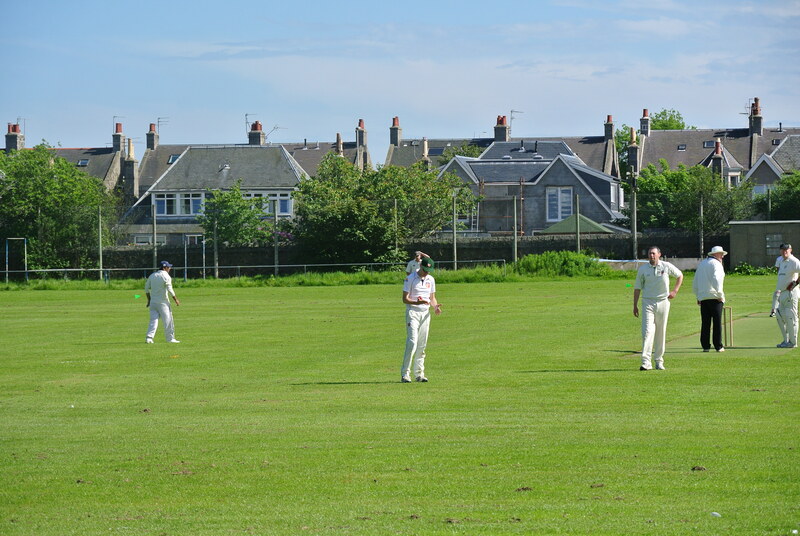 However, any hopes of a dramatic victoey were extinguished as Hassan upped his pace to finish on 45 not out, Dance clining on at the other end on 6. 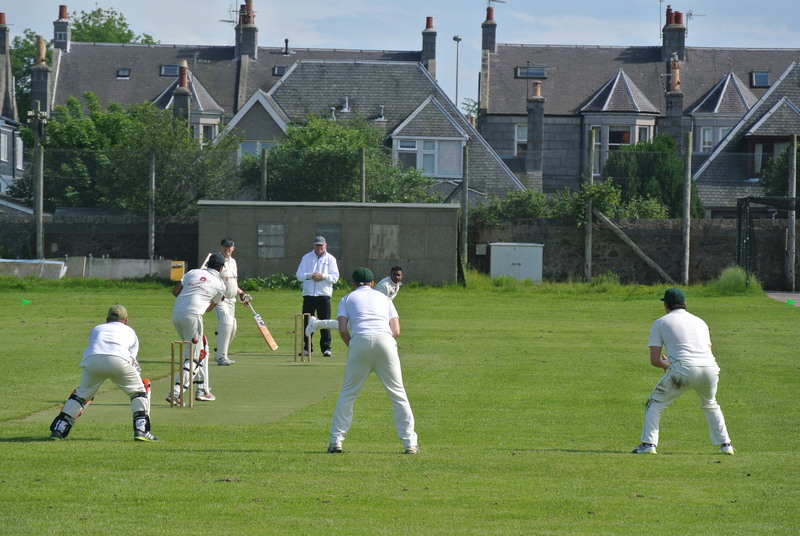 It was a very good effort with the ball by FPs and if they had scored 50 more, they would have had a very good chance, although even that score would have been well below par. 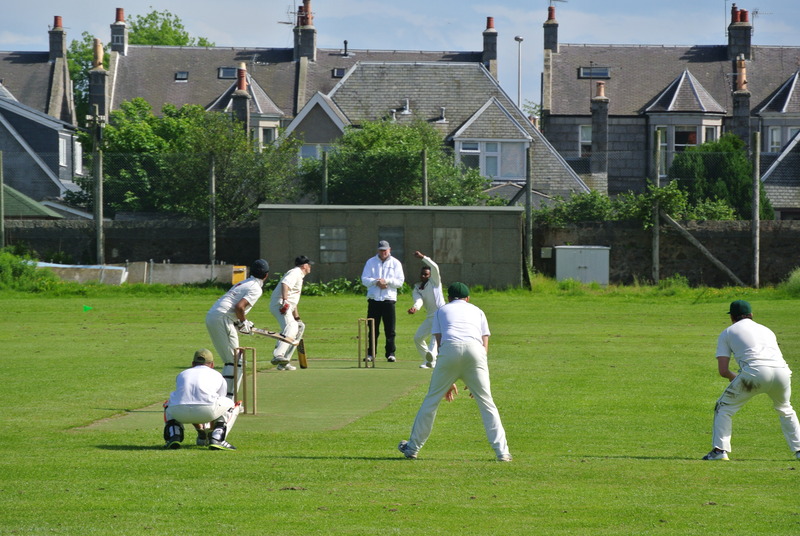 The bowling figures were Vijapur 8-2-24-2, Hameed 8-3-27-1, Challa 6-1-26-1, Stuart 4-0-10-0, Sam Knudson 7-4-4-1 and Morrison 1 ball for 1 run. 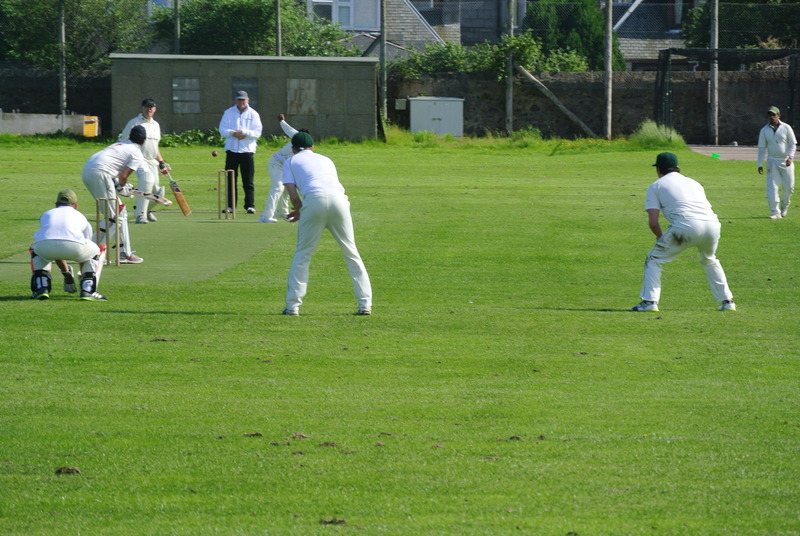 The game was played in a great spirit on a glorious day and really was about what a game of cricket should be about. 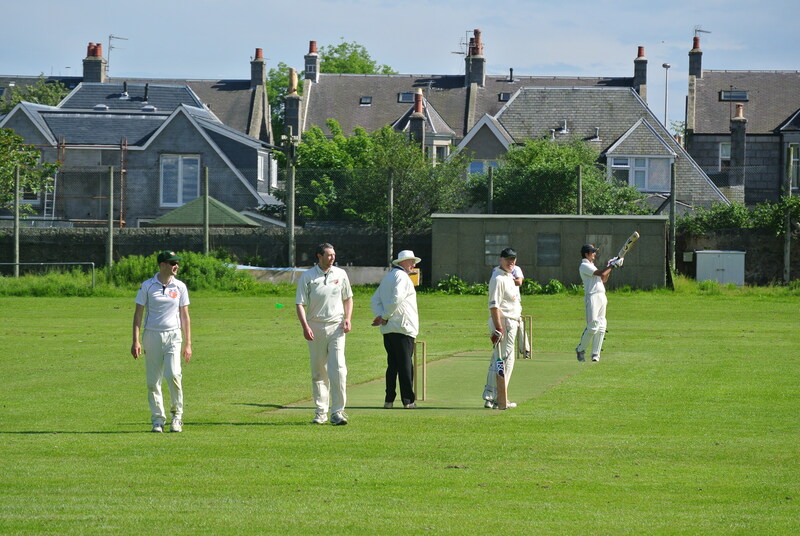 Tranent shared a beer with FPs after the game and are wished the best of luck in the next round. 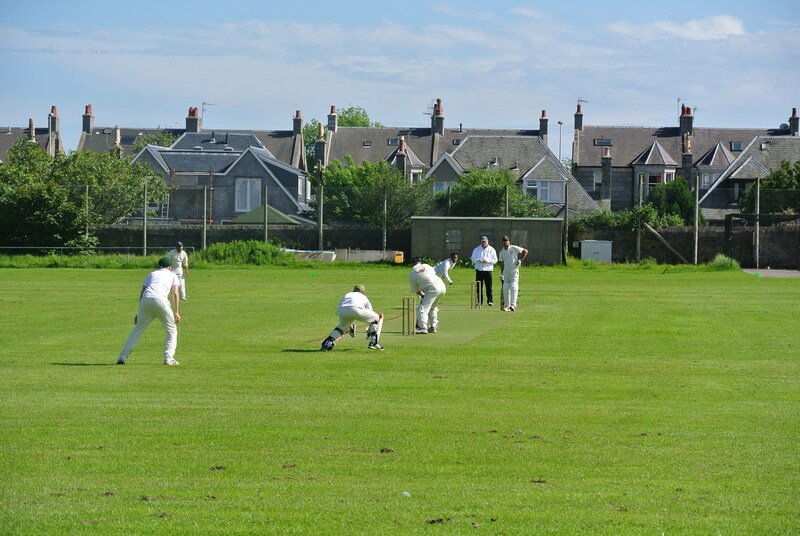 FPs can reflect on what might of been in their first forray into the Small Clubs Cup and it is certainly something they will enter again next year. 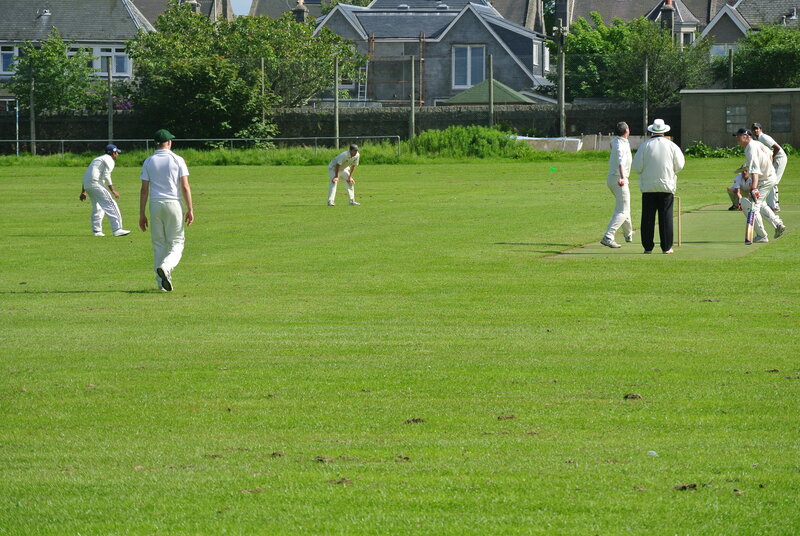 For now it is back to league duty with a vital game away to Methlick next week.